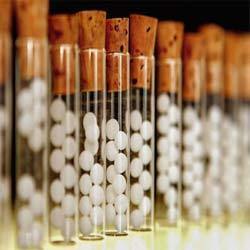 With rich industry experience in this domain, we are presenting a wide array of Homeopathic Drugs. We ensure that the offered products are hygienically formulated and packed by the vendors. Further, we provide these products in varieties that are used for differed purposes in several industries. In addition, these products are tested on various parameters by quality controllers and drug experts to ensure their quality and purity. Our clients can avail these products at industry leading prices as per their requirements and needs. We are actively involved in the export and supply of a useful assortment of Ayurvedic Medicine, Homeopathic Medicine and Pharmaceutical Medicine. These medicines have been sourced from certified and clinically approved vendors based in different parts of the country. The offered range includes Ayurvedic Powders, Herbal Oils, Homeopathic Drugs, Homeopathic Ointments, Pharmaceutical Tablets and Pharmaceutical Syrups. As we have obtained these from well known manufacturers, our array has successfully cleared all the quality tests. Conforming to the industrial norms, we have procured only the best quality medicines from our vendors that promise to give our users tremendous health benefits. These tablets and syrups have no side effects and effectively fight against all the diseases and strengthen the body. Our capacious warehouse enables us to obtain products in bulk from the manufacturers so that we can cater to the wide network of clients and increasing demands of the market. In addition to this, our offered collection can be availed at industry leading prices.